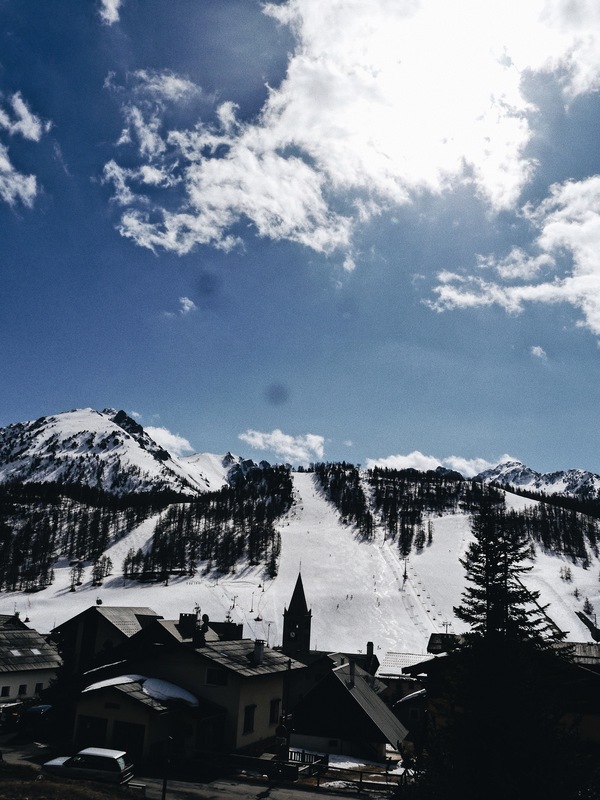 A few months ago I headed off to Montgenevré for a press trip with the ski-holiday experts; Inghams. 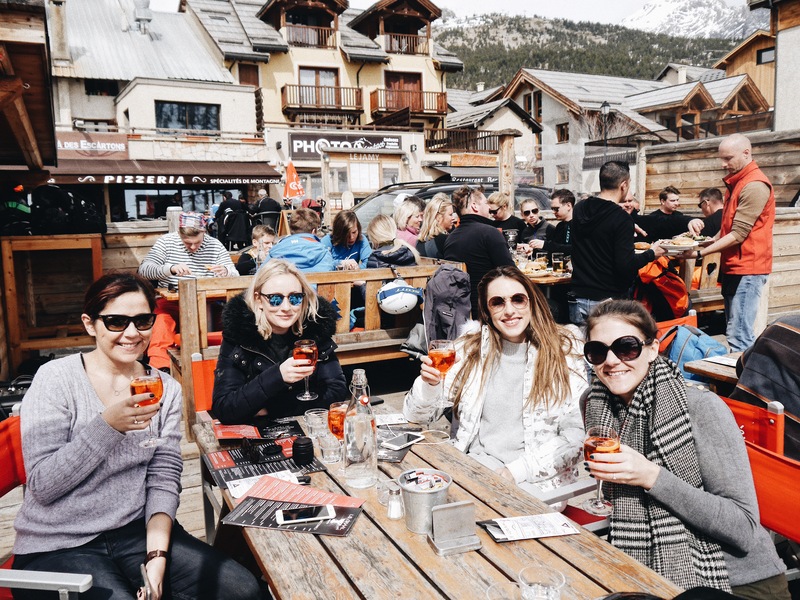 Along with three other travel bloggers we spent 3 days hitting the slopes, eating melted cheese and drinking Aperol spritz. 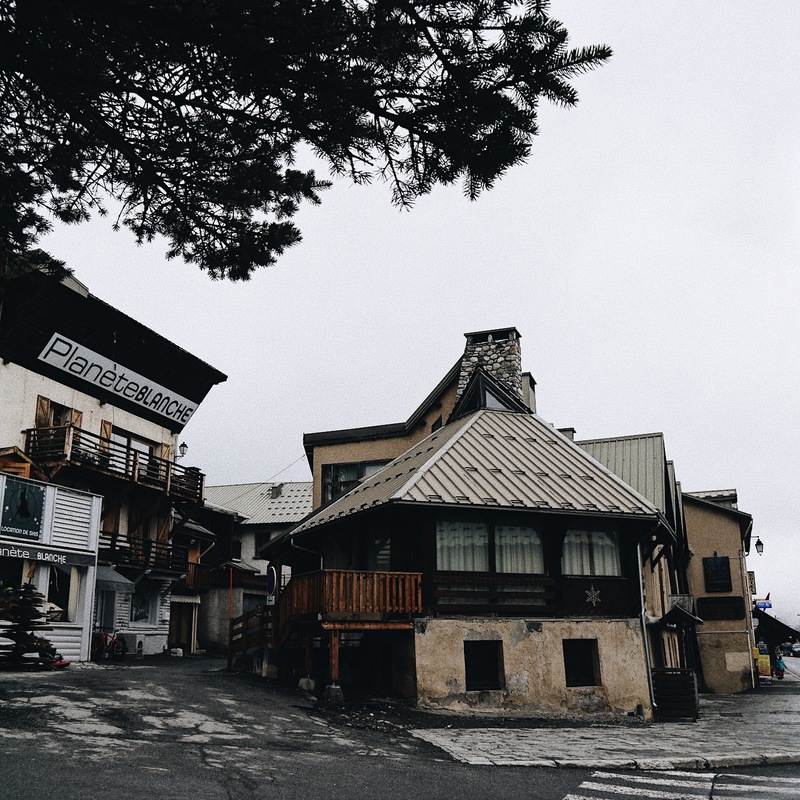 Montgenevré itself is a small alpine village in France, right on the Italian border and is famously very good for snow due to its positioning of pistes. We flew into Turin in Italy which is Mongenevré’s closest airport, about an hour and a half drive away. 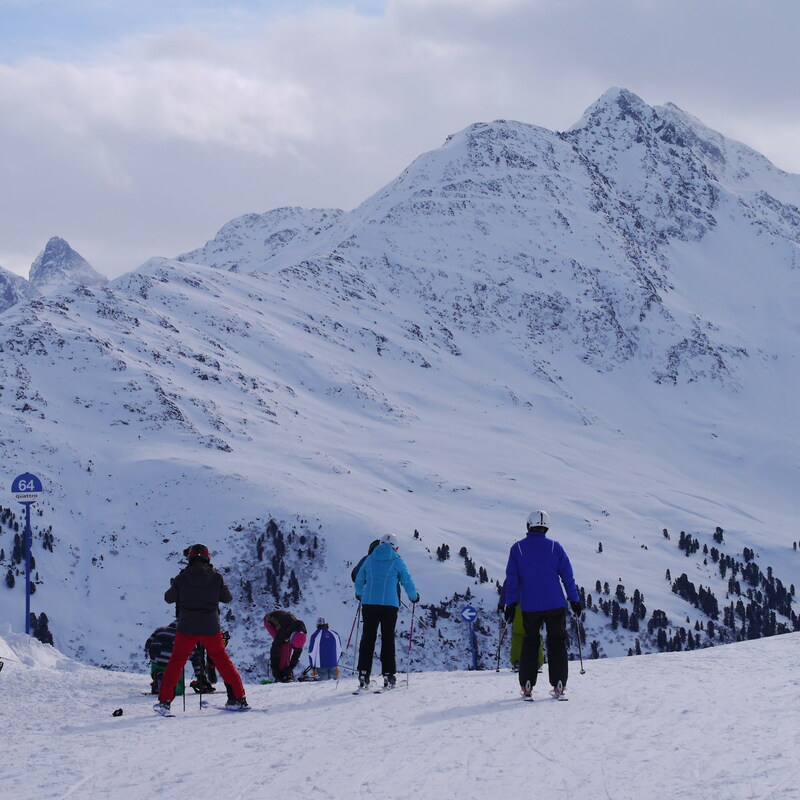 It’s the perfect destination for new skiers, offering stunning scenery and a multitude of runs to choose from. 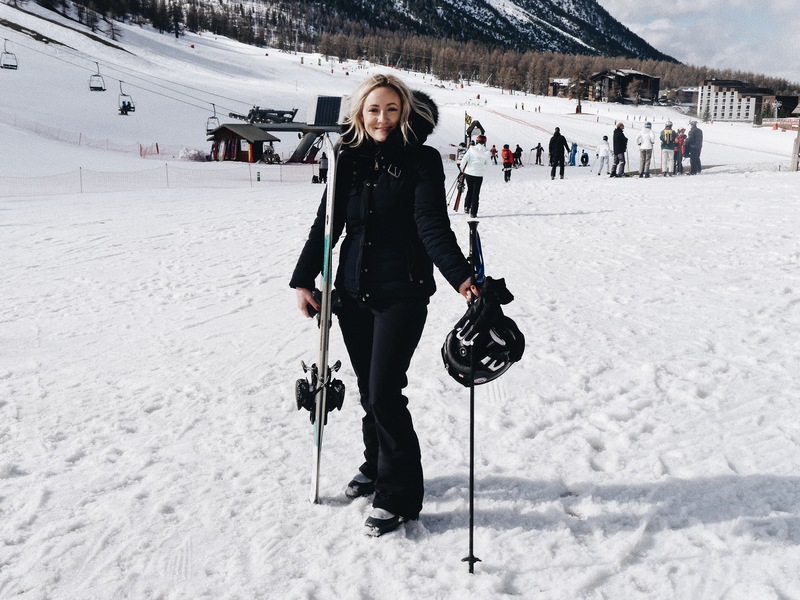 Being so close to Italy you can begin your day in France and ski across to Italy in the afternoon. I’d been skiing a couple of times before this trip, and have had a couple of group lessons, but it’s fair to say I still hadn’t found my ski legs. As much as I desperately wanted to learn to ski, I was still terrified. 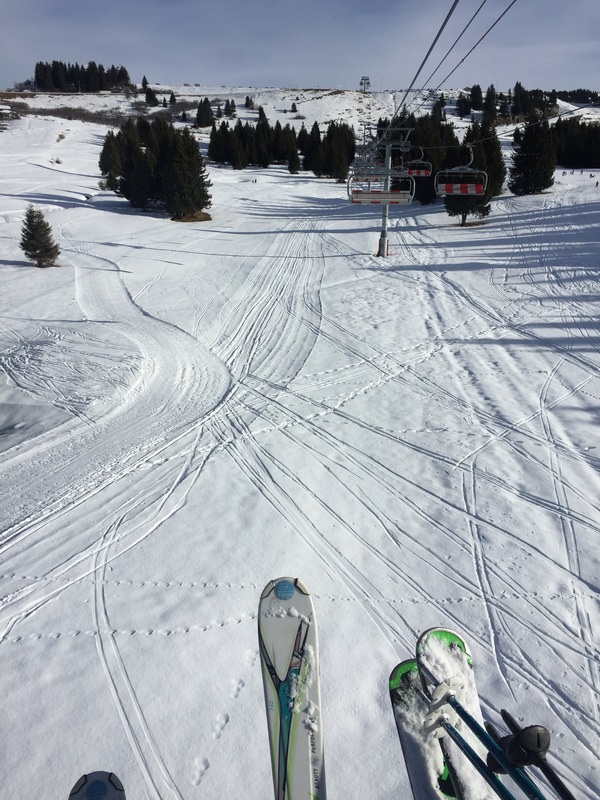 Luckily on the first morning of our trip we went off for private ski lessons with ESF (Ecole Ski Francais) and what a difference it made! We started off on the nursery slopes trying to get our technique right and then slowly progressed to the green runs where I began to find my groove. As someone who is not particularly sporty I surprised myself by how exhilarating I found it. It was completely knackering and my body ached with sore muscles that I didn’t even know I had, but it was worth it. 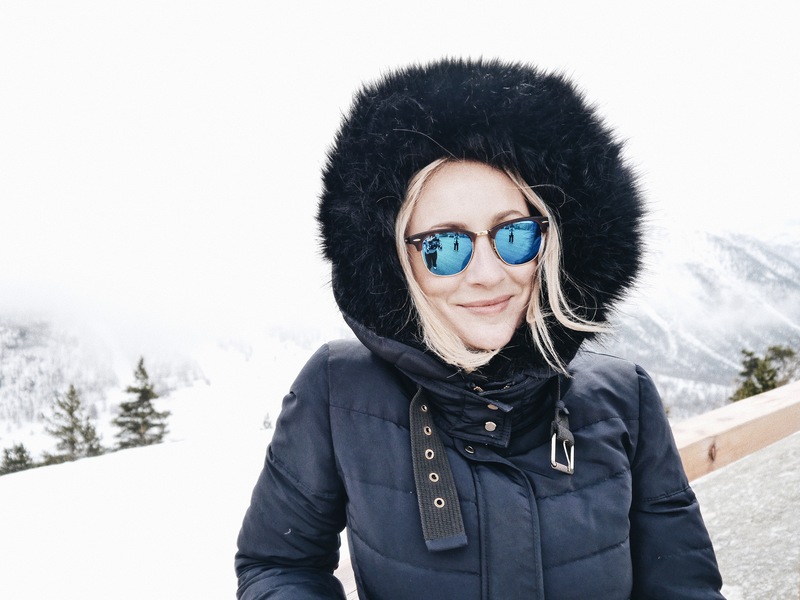 By day, we focused hard on our skiing, it’s worth noting that there aren’t many restaurants or bars on the mountains, come the evenings we were tired but ready to let our hair down. 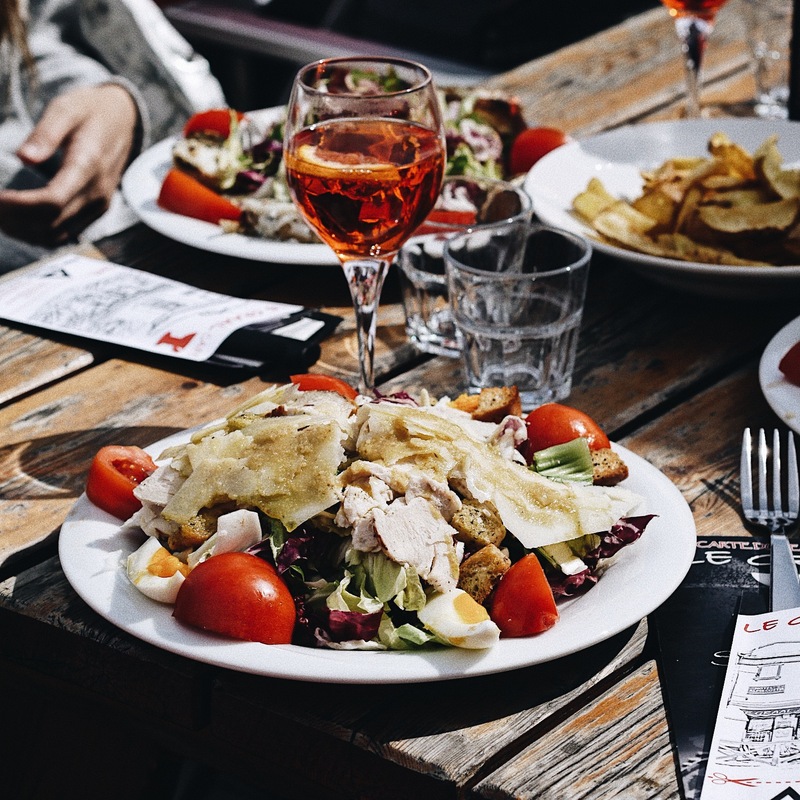 We dined at Le Maison de Claire, a traditional fondue restaurant owned by a lovely French couple who made us feel right at home. 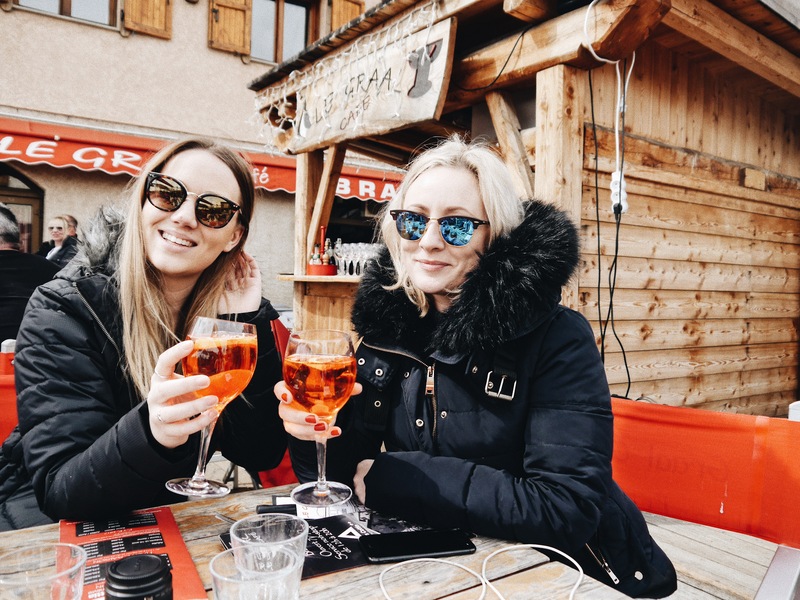 Après Ski was scarce but we made the most of happy hour at the Le Graal where we enjoyed several Aperol Spritz’ and danced to a live band who are there every Friday. 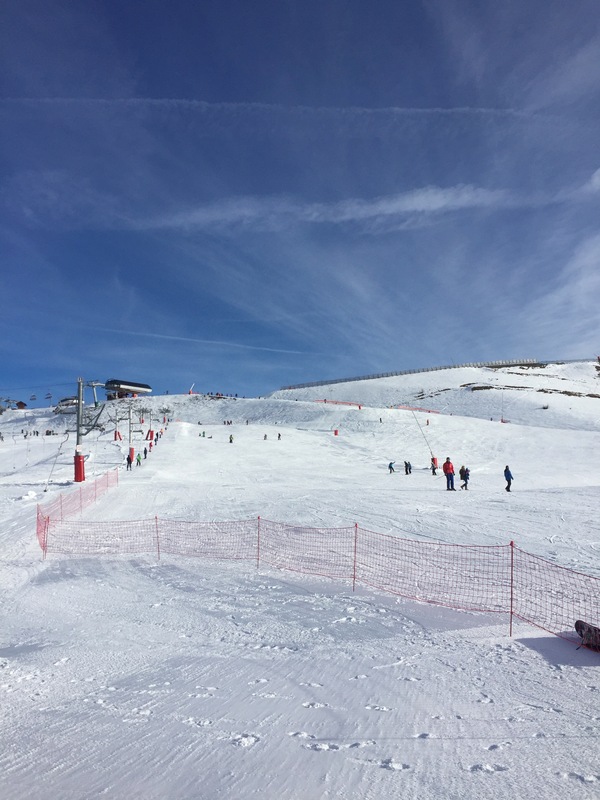 Day 3 and after the most delicious Tartiflette at the beautiful restaurant Les Terrasse where we stopped for lunch we accidentally tackled a blue run. We had stumbled into a bit of a white out and mistakenly took the blue instead of the green run. It’s safe to say that I spent quite a lot of it on my back. It was so ridiculous that I was laughing and crying hysterically at the same time. Although, I would like to add, once we eventually made it down safely I felt ALIVE. It was genuinely terrifying but the most fun I had had in ages. Our Inghams Holiday chalet in Mongenevré village was quite basic, but perfectly adequate for anyone looking for a slightly cheaper ski trip or for those who really want to spend most of their time on the mountain skiing. Chalet Rocher de L’Aigle sleeps 10-13 people and can be booked out exclusively or filled by multiple smaller groups. The chalet comes complete with two chalet hosts who prepare breakfast and dinner and bake a cake for afternoon tea which is a welcome touch. I don’t think I would have the energy to come back and cook after a day on the slopes, not to mention the cleaning up that comes with it. 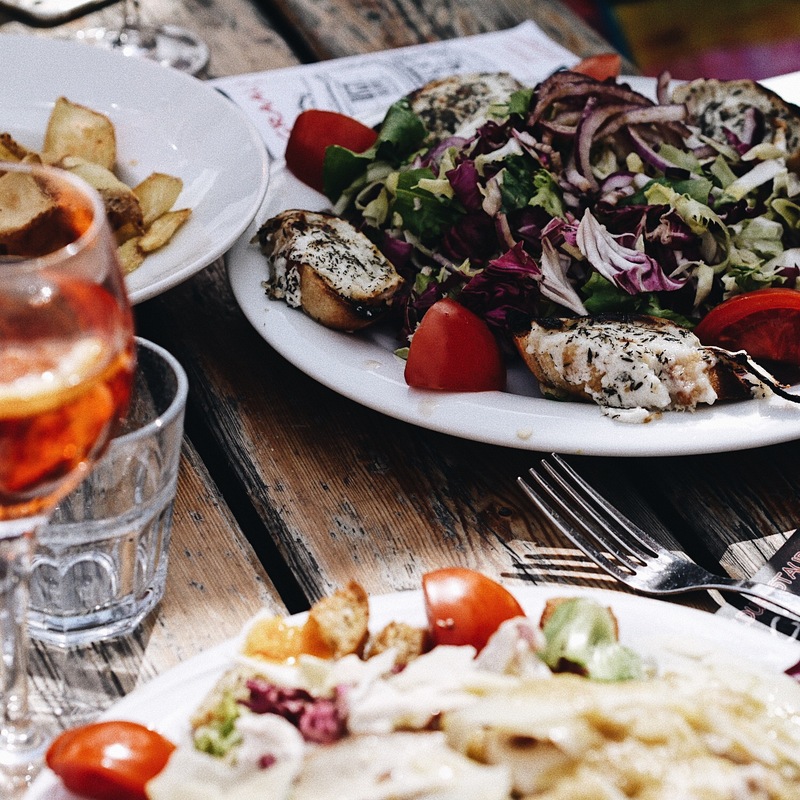 Thankfully this is all handled by the chalet staff, meaning you can rest up on the chalet’s large sun terrace, which has beautiful views of the mountains, cup of hot chocolate, or something stronger in hand. We finished off our trip at Durancia Balneo & Spa, we spent far too long in the hot tub, our skin turning prune-like whilst we enjoyed the views of the snow caped trees and mountains. Before long we were preparing for our flight home.